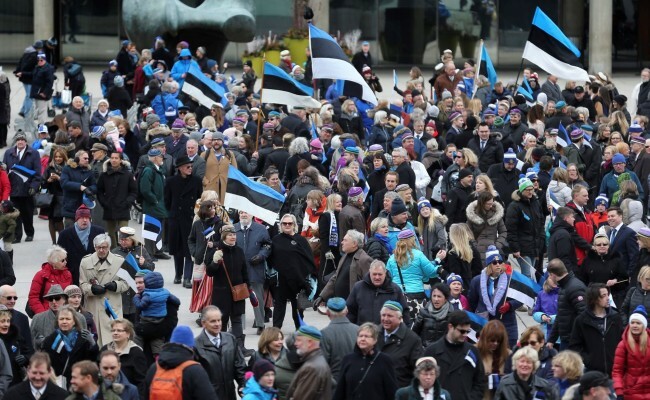 On Estonia’s 100th birthday on February 24th, 2018, our beloved national symbol, the BLUE-BLACK-WHITE tricolour dominated the scene at Nathan Phillips Square. 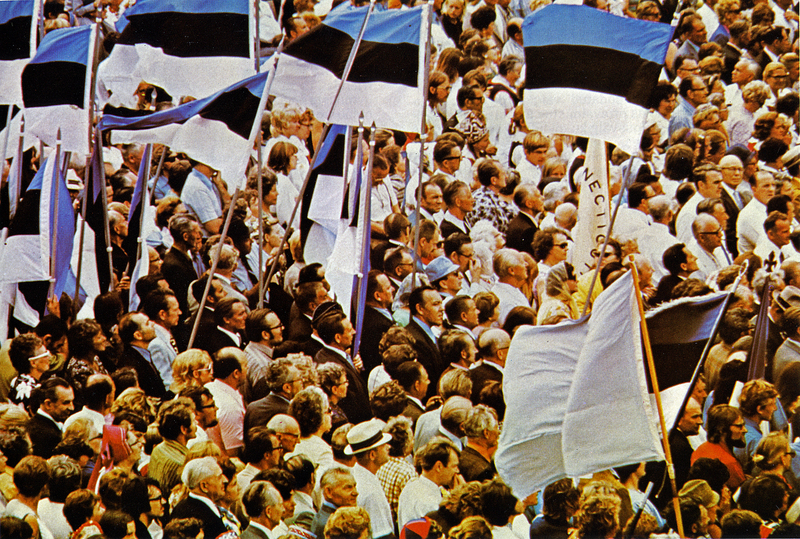 As “our” flag inched its way to the top of the City Hall flagpole, hundreds of smaller flags and banners were held high in joyous celebration by the crowd of Estonians and Estonian enthusiasts, who had gathered to share the momentous occasion with their friends and family. a free, independent and democratic nation. The road to regained freedom and independence in the free world was paved with many an occasion when the BLUE-BLACK-WHITE tricolour was raised in defiance and in protest and to demand an end to the Soviet occupation of our homeland. Who can forget the scene at Nathan Phillips Square on July 8th, 1972, during the first Estonian World Festival, when a flag-waving crowd of 20,000 jammed the Square to demand “freedom for Estonia”, a cry that reverberated across the Square, up and down Yonge Street and across the Atlantic to Tallinn and, undoubtedly, to Moscow. And speaking of Moscow, who can forget the BLUE-BLACK-WHITE scene at the opening ceremony of ESTO 84 at the Ontario Place Forum when a press release, issued by Moscow, was shared with a 12,000 strong audience at the Forum. 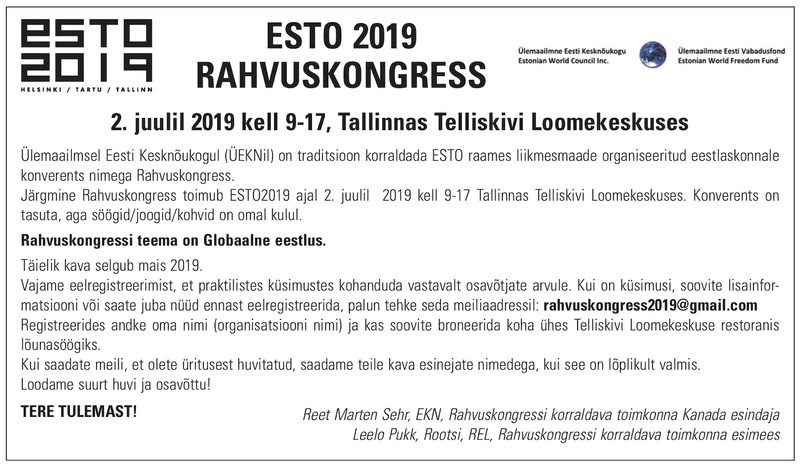 Hoping to put a damper on the week-long festivities and to discredit the Estonian community in Toronto and worldwide, a statement, signed by the chairman of the Estonia's Supreme Soviet, Arnold Rüütel, claimed that ESTO 84 was essentially a CIA plot, concocted for the purpose of spreading anti-Soviet propaganda. 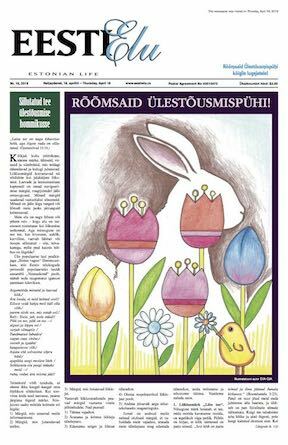 This hilariously preposterous accusation not only brought down the packed house at the Forum but also garnered an enormous amount of positive media attention, which aroused interest in the ESTO 84 festival and added to the success of the week-long event. Thank you Mr. Rüütel! Nathan Phillips Square (Toronto Estonian Society, Estonian Central Council in Canada and the Estonian Consulate in Toronto) is thankful that Estonia’s 100th birthday fell on a Saturday facilitating greater attendance, is relieved that the weather co-operated and is thrilled that so many people, so many families with children of all ages, joined in the celebration at what could appropriately be nicknamed Toronto’s “Freedom Square”. See you next year on Sunday, February 24th at the City Hall “Freedom Square” as the BLUE-BLACK-WHITE is raised in celebration of EV101!